A new beginning | Hey Bernice! We have arrived in our new (temporary) home. Our refuge during the exciting time we are about to embark upon … building our new home. It’s always a refreshing experience moving somewhere new – so many things to discover. You don’t live your life as a habit or routine, because there isn’t one established in this new town – I love that feeling. We have made Geelong our temporary home whilst overseeing the building process in Torquay (15 minutes away). 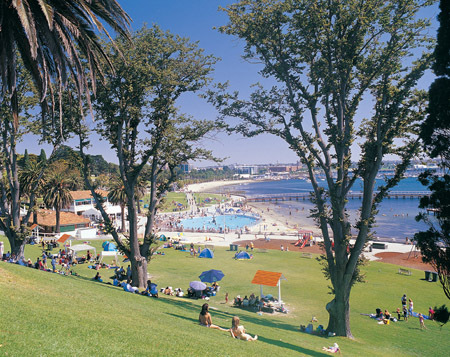 Geelong is Victoria’s second largest city and offers a diverse range of food, wine, cultural and recreation attractions and colonial history. We have received the first cut of our plans – that’s when it hit us – we are building a house from scratch! So many (exciting) decisions to be made. I lived in Melbourne for 50 years. Bribie island now (Qld). 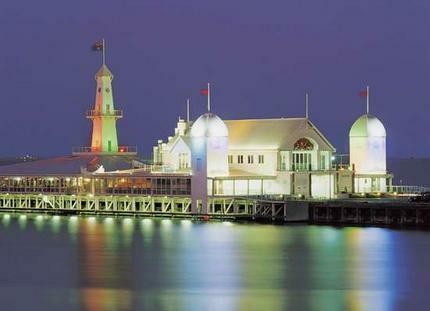 Geelong was/is one of my favourite places. Great boat launching at Limeburners,Nice bay (Corio) Great city, and even the Cats are a great team,. I also like Port Fairy, Warburton and Newhaven (Phillip island). The photo of the Pier was from the planetware.com website. I didn’t take the photo. 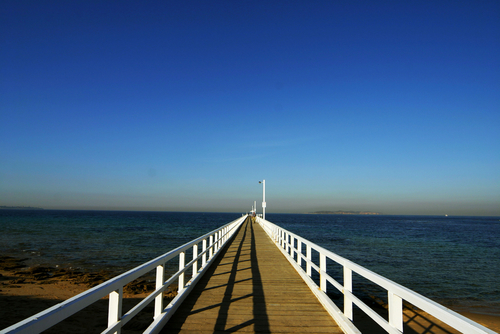 It is a pier in Geelong.